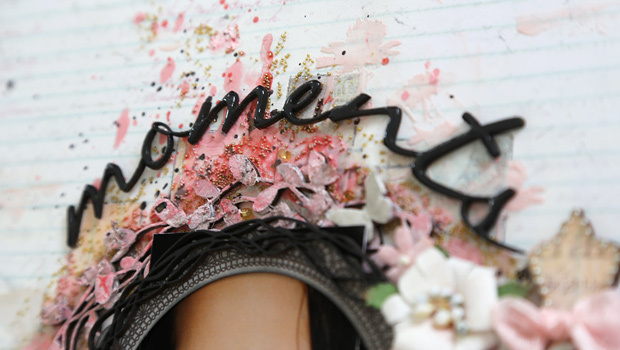 Hi everyone and today I'm sharing some Your Creative Wings mixed media inspiration. This gorgeous, doodley, almost gothic styled patterned paper from Prima Marketing Inc provided me with the inspiration this month to create a gothic yet feminine layout. 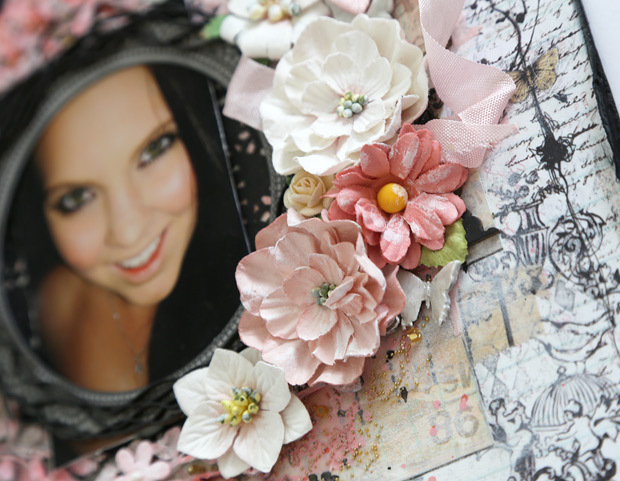 I've also featured three of the frames from Your Creative Wings Frames Collection in this one layout. 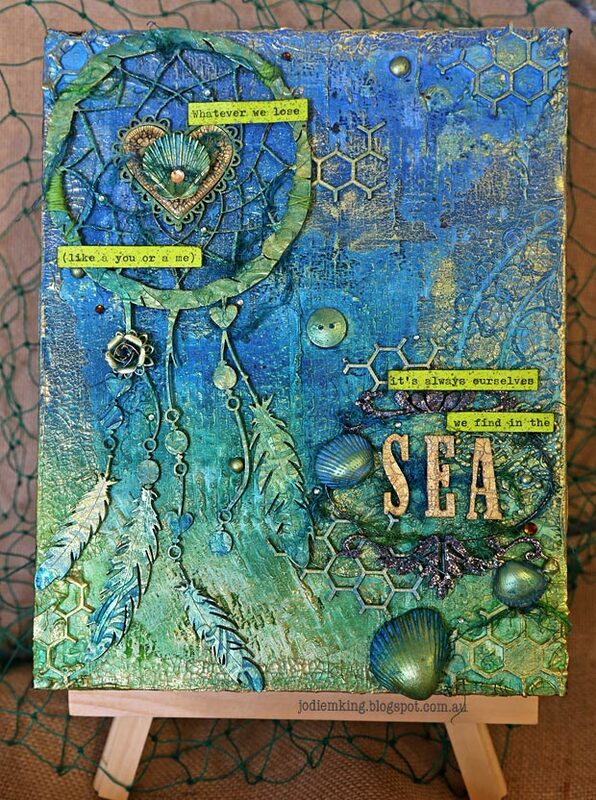 This layout has lots of layers and different mediums to it, and even some textural elements like micro and glass beads. To create the base layers I adhered strips of patterned paper in a random pattern and added some torn up pieces of old sewing pattern tissue paper. After dry brushing with gesso I added texture paste tinted with shavings from a pale pink Gelato through a stencil. After working out the position of the outer frame I adhered some micro beads and then applied mists around the frame. To treat the gorgeous Wreath - Leafy Set, I first spritzed the entire frame with water and let it sit for a couple of minutes to loosen the layers of chippy. Then I took my scalpel (carefully so there are no scrapping injuries lol! ), and scuffed up the top layer. This doesn't have to be perfect, after all it's a random effect we're looking for. Then apply a coat of gesso over the frame, so that you can still see some raw areas of chippy. 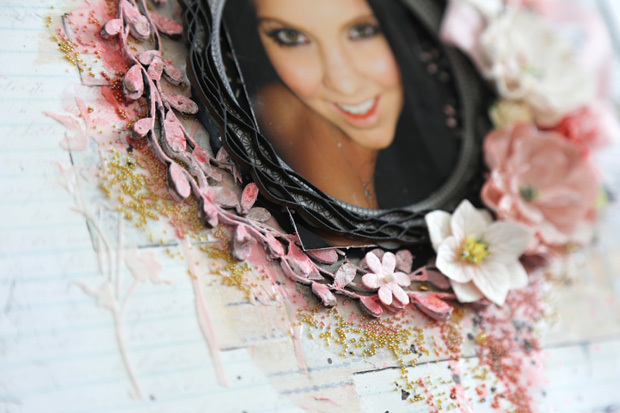 Give a quick dry with a heat tool and then add mists to sections of the frame. Dry with a heat tool as you go, and add more colour as you like. The Wreath - Willow frame has simply been given a coat of Distress Paint in Black Soot. My title, Moments, has again been coated in Black Soot Distress Paint and then a coat of Glossy Accents. Remember that these titles are quite flexible, so you can bend them out of their usual shape to suit your project. I've tucked one of the little dress forms from the Mannequin Set into my flower cluster, with patterned paper adhered and some liquid pearls for added details, and of course some satin seam binding to accentuate the feminine side to a gothic layout! 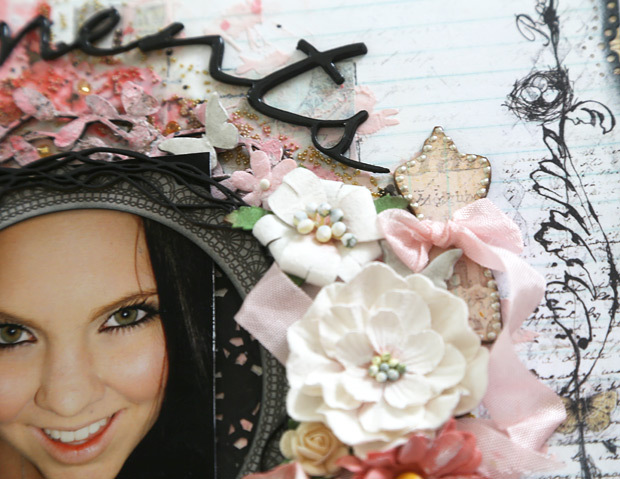 I love digging into my stash of little bits and bobs that add detail to a layout. The Butterflies - Mini set is perfect to have on hand to add details in and around a flower cluster. 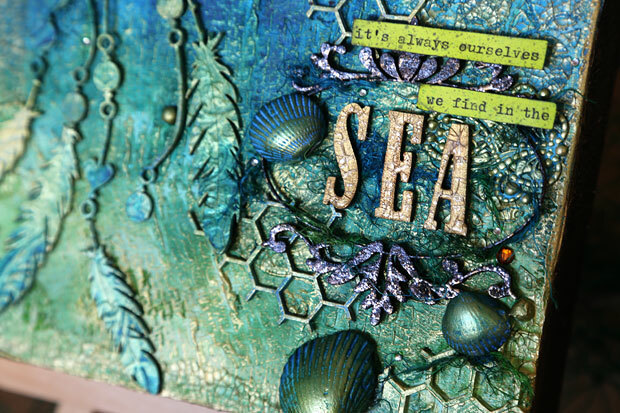 I've used some Tinby Metallic Melts here for their lovely metallic sheen. Other product used: Prima Marketing Inc patterned paper, Bazzill cardstock, Martha Stewart edge punch, gesso, clear gesso, texture paste, Tim Holtz Distress Ink in Black Soot and Antique Linen, Faber Castell Gelato in Guava, Tim Holtz Stampers Anonymous stencil, fabric pattern paper, Micro Beads in Florentine Gold, Prima Marketing Inc mist in Peony, Distress Paint in Black Soot, Liquid Pearls in Platinum Pearl, Stazon Ink, Kaisercraft stamp, glass beads, Prima Marketing Inc flowers, Petaloo flowers, satin seam binding, Tinby Metallic Melts, doily. 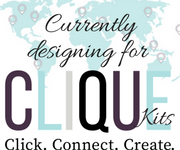 I visited the Brisbane Scrapbook and Papercraft Expo in Brisbane a couple of weekends ago and had the opportunity to take a class by the lovely and very talented Sue Smythe. This canvas gives a nod to the techniques and artistic style that she taught in the class, but with my theming and design. How amazing is the Dreamcatcher chippy piece!? 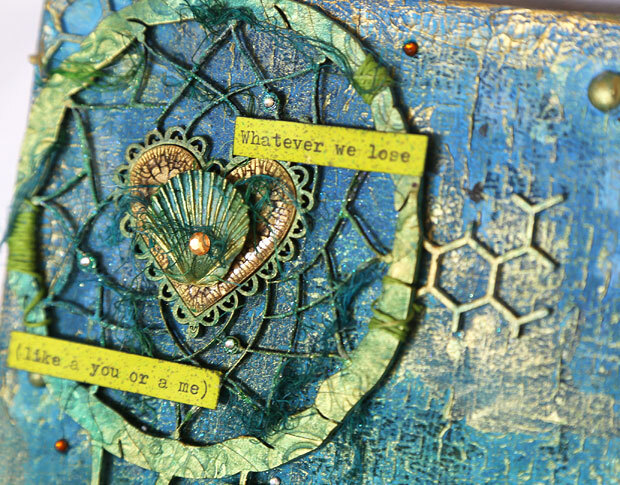 I love the hearts and feathers and intricate criss-cross of threads in the main piece. The Dreamcatcher and mesh panel pieces have been given a coat of Gesso and sprayed with Dylusions mists, and then finally dry brushed with gold acrylic paint. The quote comes from one of my all-time favourite poems, Maggie and Milly and Molly and May by E.E. Cummings. I've painted the heart in the dreamcatcher with gold paint and given a generous coat of Distress Crackle Paint in Rock Candy. When that dried I spritzed with a black mist to accent the crackle. I've also collected a few shells from our beach here and treated them with gesso, mists and gold paint as well. The frame has been heat embossed with a mixed embossing enamel by Stampendous, and the alphas treated the same as the heart in the centre of the Dreamcatcher. And as always, a bit of bling to finish this little canvas off! Thanks so much for dropping by today. Have you visited the shop lately? I spy some special new goodies here and here that are hot off the YCW press! !